Learn the basics of baking and more this month of November as The Maya Kitchen offers classes to hone your skills in front of the oven. Basic Baking is on November 11-14 and 25-28, Tuesday-Friday, 9am-2pm. The class includes basic baking techniques applicable to small and commercial scale production of recipes and formulations of quick breads, pies, cookies, cakes and other bread. Basic Cakes is on November 8, Saturday, 9am-1pm. The class with hands-on will teach the recipes of Angel Food Cake, Chiffon Cake, Dark Chocolate Cake and Butter Cake. Also on November 8, Saturday, 10am-2pm is Korean Cuisine. The class includes recipes for Samgyeopsal (Grilled Pork Belly), Pa-jeon (Green Onion Pancake), Gogigui (Korean BBQ), Haejangguk (Hangover Stew) and Bibimbap (Korean Mixed Rice). Beginners’ Cake Decorating with hands-on is on November 15, Saturday, 9am-1pm. Learn how to prepare Royal Icing, Boiled Icing, Swiss Meringue and Ganache. Learn Fondant Making on November 22, 9am-1pm. The class with hands-on will show how to prepare fondant from scratch and give students the chance to decorate their own cake. Cupcake Baking and Decorating with hands-on is on November 29, Saturday, 9am-1pm. The class includes recipes for Jelly Coffeeccino Cupcakes, Cashew Meringue Cupcakes, Chocolate Dinosaur Cupcakes, Caramel Cheesecake Cups and Citrus Cupcakes with Swiss Meringue Buttercream. Other courses for the month are Basic Culinary with workshop on November 18-21, Tuesday to Friday, 9am-3pm. 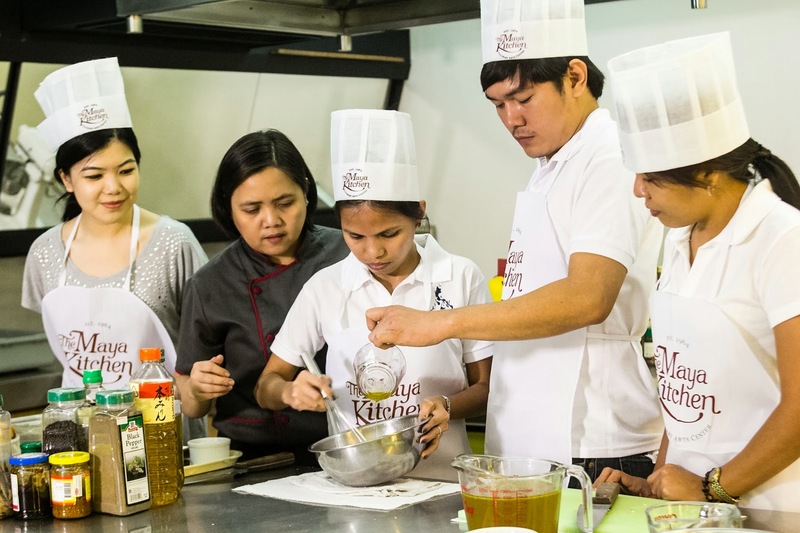 The course includes cooking fundamentals and International Standard Techniques of meal preparation from soup, salad, pasta, main courses, sandwiches to desserts for Home and Institutional Scale Kitchens. The course comes with a workshop.